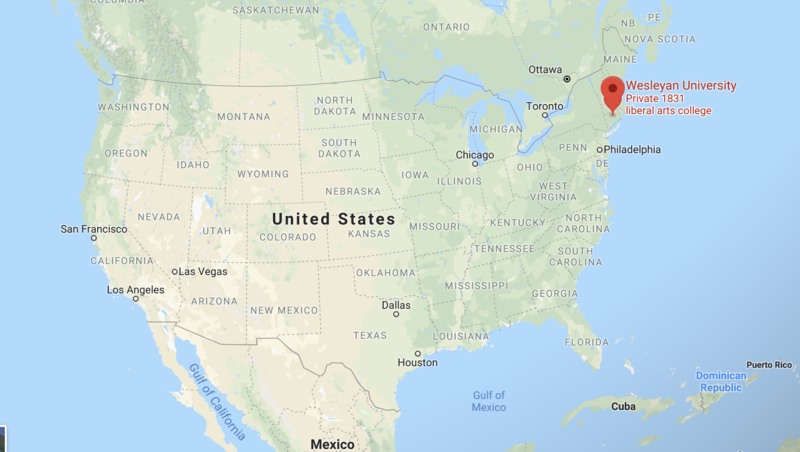 Founded in 1831, Wesleyan is a highly-selective private liberal arts college in Middletown, CT with a 17% acceptance rate for the Class of 2022 (students who entered in Fall 2018). Although Wesleyan doesn’t require SAT or ACT scores, 75% of applicants asked to have their scores considered during admissions (median: 770 Math and 740 Verbal). One of the “Little Ivies,” Wesleyan emphasizes an intimate and collaborative learning environment for undergraduate study. Senior Interviewer at Wesleyan, Naomi Williams, grew up in Atlanta and started working in the admissions office the summer before her junior year. 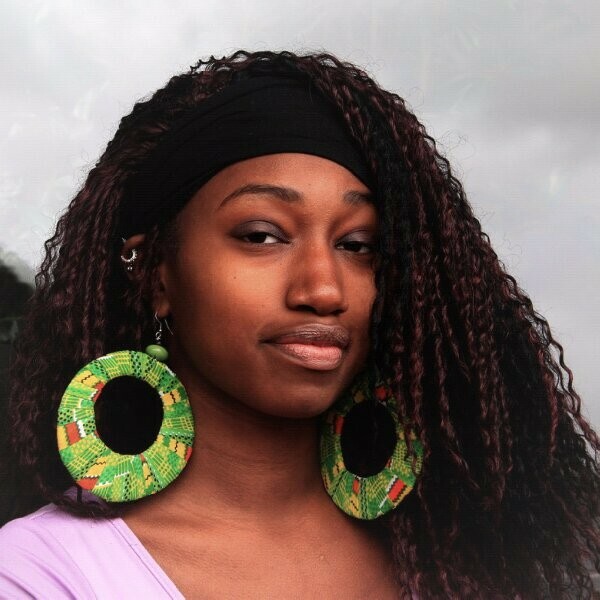 A dancer, choreographer, trumpeter, actress, and singer, she started as a campus tour guide and answering questions at the front desk. Now, as a senior interviewer, she interviews prospective first-year students and the occasional transfer student. Naomi at Wesleyan: “Let’s start with parents. Some parents hover. What I’ve seen during tours is when I get to talk to some students while their parent is pre-occupied, the student says things they may have never said with their parent beside them. I spoke with one student whose parents were both doctors. She told me her parents wanted her to be a doctor, but her dream was to be a writer. And she continued telling me about what she enjoyed writing, what she liked reading, and asked me about the resources available for creative writers. I would’ve loved to interview her had I been an interviewer at the time! And that conversation would not have happened had her parents been right behind her. Sometimes the limitations and expectations parents set on their children limit their potential. Sometimes parents would come up to me after a tour or information session and tell me about their child’s volunteer work instead of letting their child tell me why they volunteer where they volunteer. You’re on the right track thinking about this now. With almost all college applicants these days boasting top grades and test scores, strong, unique recommendation letters and essays really make the difference. Unfortunately, your senior friends might not have had the foresight in early high school to prepare for a shining rec letter. Most students don’t know that an excellent letter of recommendation takes quite a bit of planning, and not just planning the summer before senior year. It requires awareness of your college goals as early as freshman year. 1. Be from a teacher or coach who has known you for at least 2 years. The length of your relationship with your recommender tells the admissions committee how credible the rec letter is. If your teacher has only known you a few weeks, he or she is less equipped to fully understand who you are as a growing, maturing human being. 2. Reveal the positive aspects of your character and personality outside of the classroom, not just academic performance. Colleges are keen to know your personality, because who you are heavily influences a campus culture. What grades you get in class — not as much. It’s easy for any recommender to see a report card and tell a college admissions officer that you’re a straight-A student. But can he describe how you treat your classmates and teammates? How you respond to critical feedback? How you think? Answers to these questions matter more. 3.Enthusiastically describe your growth and contribution to your community, whether it’s a classroom, a campus, a club, etc. The key here is enthusiastically. SocratesPost talked to Bryan Enochs, the Director of Admissions at University of Michigan, who said they get way too many lukewarm letters of recommendations. The more enthusiastic an adult like your teacher or coach is about you, the more credible your application seems. It’s one thing to describe yourself as a passionate, unique, and hardworking student. It’s another to hear that from an adult who has taught thousands of students. If they’re so excited about you and an aspect of your growth, why wouldn’t a college be too? A famous, influential, or wealthy individual. Unless this person also happens to be a close teacher or mentor who has witnessed positive changes in your growth. An alumnus of the college. Unless it’s coming with a million plus dollar donation. A great writer. Some teachers aren’t the best writers and admissions officers know that. They’re not trying to nitpick their grammar and sentence structure. Most likely, you won’t be able to read your recommendation letters. Some teachers will be willing to show you, but colleges will think your letter is less credible if you read it before submission. Join our e-mail list and submit your question to the weekly Dear Socrates advice column. What types of students do colleges really prefer? We hear about the standout valedictorians, national competition winners, Pulitzer-worthy essay writers, and teachers’ pets. Among the regular kids, these are the ones getting into college. But a little more taboo are the kids of alumni, wealthy donors, faculty members, and celebrities. At elite colleges, these applicants – oftentimes less academically qualified than their peers – get in before our regular valedictorians and salutatorians are even considered. 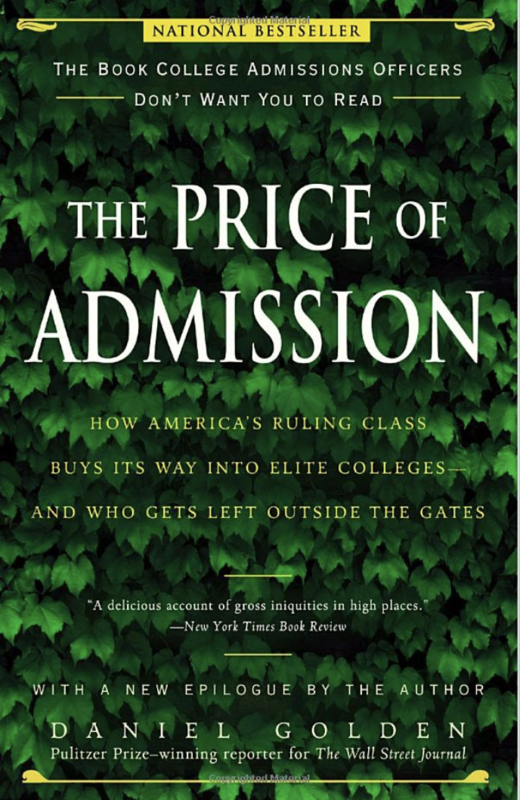 Daniel Golden exposes these “special consideration” applicants in his book The Price of Admission: How America’s Ruling Class Buys Its Way into Elite Colleges–and What Gets Left Outside the Gates. Are you a part of the ruling class or are you left outside the gate? We read it and summarized it so you don’t have to. Ever hear of Harvard’s COUR or Committee on University Resources? Members of this committee are handpicked by university fundraisers. 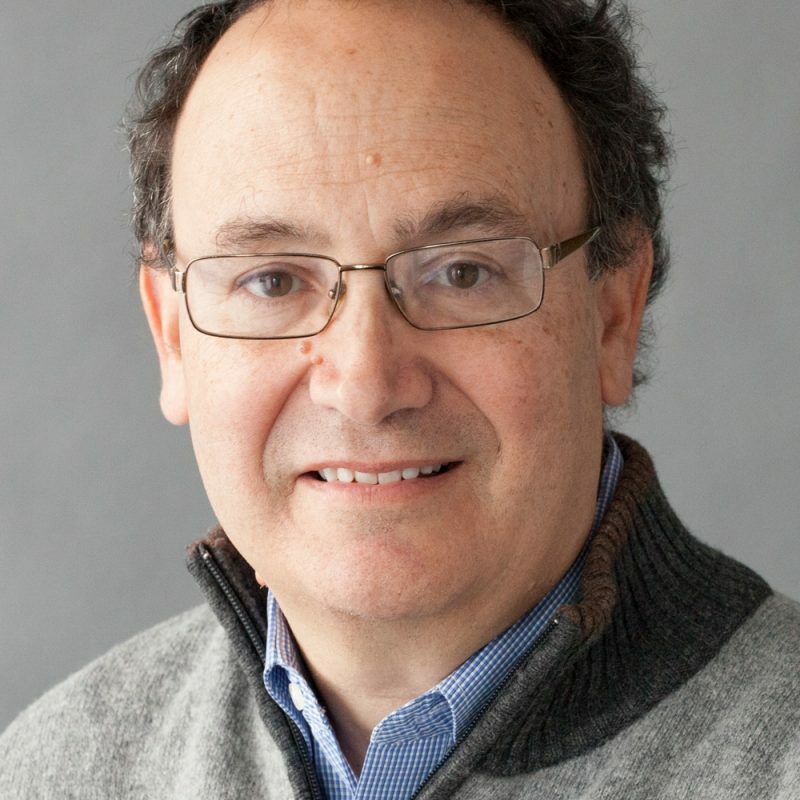 They’re typically alumni donors who have given at least $1 million to Harvard and, as you can imagine, included individuals such as Microsoft executive Steven Ballmer, oil tycoon Robert Bass, and banker David Rockefeller — all of whose net worths surpass $2 billion. Kids of these individuals get special consideration for admissions, even if their kids are not academically qualified. Case in point: Annie Grayson, graduate of Hotchkiss, a boarding school in Connecticut, scored somewhere in the 1200s on her SATs, a couple hundred points under Harvard’s average. She ranked below the middle of her class. Her parents, both Harvard alums and COUR members, noted that they have “plenty of money, money enough and to spare.” She was admitted. Annie’s parents donated at least $1 million during her senior year at Harvard. Similarly, at Duke University, the development committee seeks students from wealthy families who haven’t yet donated, but have the potential. Takeaway here: boatloads of money can make up for academic deficiencies and get you in. After all, universities are businesses that thrive off money and reputation. To read more issues, click here. Learn more about becoming a Subscriber. Learn what admissions insiders want you to know. Delivered straight to your inbox. You’re now subscribed to SocratesPost! You will receive an email confirmation shortly.